Click on the Other Settings tab and insert your License Key. Optionally you can configure the front-facing affiliate URL by clicking Yes next to the Powered By Link option. 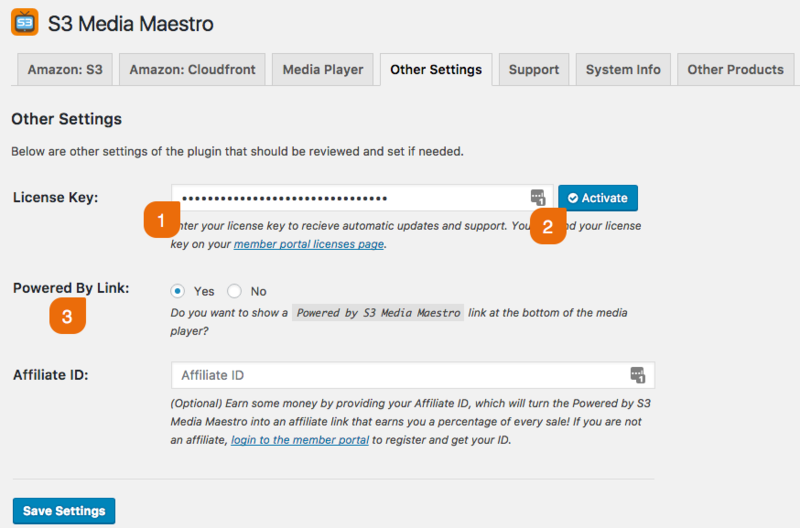 Then simply insert your Affiliate ID. If you don't have an affiliate account, simply login to the member portal and click on the Affiliates menu item. 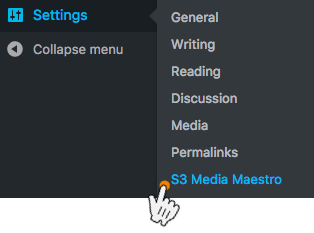 Next click on the Media Player tab. Here you can configure the global default settings for your media player. 1. First your player type. 2. Next you can select the skin you'd like to use. 3. If you have a splash image (also known as a poster image) you can add it in here. 4. 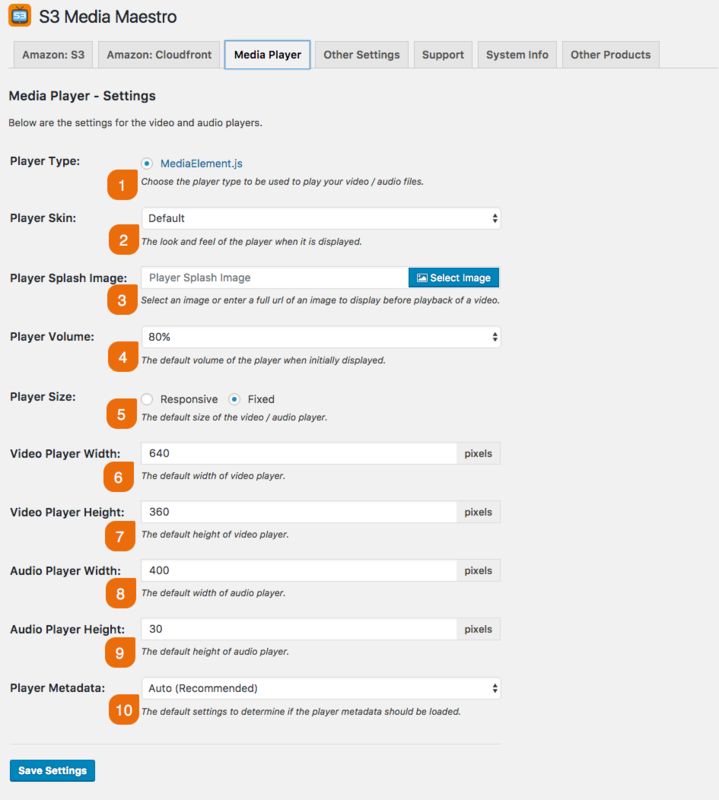 Then configure the default volume level for your media player. 5. Next you will want to choose whether or not you want your media player to be responsive or fixed. 6. - 9. If you select fixed, you will be prompted with options to configure the height and width for the video and audio players respectively. 10. Lastly you can configure the player metadata setting which simply refers to whether or not you want video's to preload and if so to what extent. Once configured click Save Settings. Note you will have the ability to modify these options on the fly when entering the shortcodes.